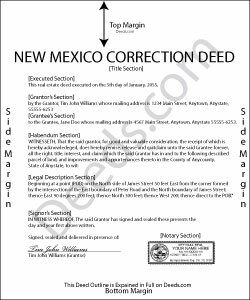 A correction deed explains and corrects an error in a prior instrument, especially if such an error might cloud the title and potentially affect its future transfers. The correction deed passes no title, but reiterates and confirms the conveyance effected by the previously recorded document. Therefore, it must be executed from the original grantor to the original grantee and recorded in order to be legally valid.